Small businesses have a diverse range of options when it comes to the purchasing and funding of workplace technology. Choosing the right funding option is vital especially for a small businesses, and financing options need to be carefully considered. Finances are always going to be one of the top priorities for any business. A business's capital funds should not be depleted if it can be helped. Finding finance is not usually a problem for most start up businesses and there are always business bank loans available if the business looks viable. But keeping capital funds should be a priority and shrewd business owners will know that they can find technology without spending a huge chunk of their capital. Leasing technology is the smartest option for most small businesses. Leasing allows the small business to have the most up to date equipment at a fraction of the cost of buying. It also means that repairs will be taken care of by the leasing company, and the pricing should be the same for the length of the lease. Leasing will not take a huge chunk out of the initial business capital and there is usually a lease to purchase option if required. Many businesses do take bank loans to purchase their technology outright. In some cases purchasing technology may be cheaper overall, but can be costly for items that will need upgraded within a short space of time. If you are talking computer technology then these will usually need to be upgraded every two to three years. Lending options such as bank loans will come with interest, and of course these loans can come with extra charges and fees. There are business grants available, usually for start up businesses looking for funding. These grants are given by the government and some independent sources. There will be criteria that must be met before the grants can be given but it is a good way of finding funding for areas such as technology. The suppliers of business grants will also be able to give helpful information and advice for small businesses. Many businesses will use the venture capital investment route as a way of gaining more business funds. 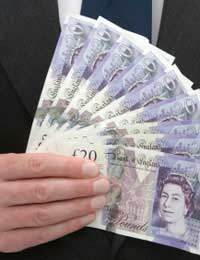 These funds can then be used in a number of different business areas. However, business owners should remember that the person who is investing will usually expect a percentage of the company and profits as a return on the investment. But if the investor can bring funding, experience and contacts to a fledgling business then it may well be worth sacrificing a small percentage of the business. It would not be the first time that a budding entrepreneur has financed his or her small business through personal savings and credit cards, or even by remortgaging their home. This type of funding is risky and in many cases extra funding will always be needed. However technology for a small business need not be a huge expense especially where leasing or renting equipment is concerned. Businesses will not usually have to outlay any capital for leasing technology and the short term price will always be cheaper than buying. Businesses should always carefully consider their technology funding and purchasing options. Business technology usually makes up around 2% of an annual budget regardless of the size of business. Small businesses should always take good financial advice from business advisors and accountants before committing any of their business capital.